Alp-Maritimes Marine Sports Institute is a scuba diving educational organization offering a customized approach to all courses and charters from basic diver to mixed gas technical training, including instructor certification at all levels. The top-level international staff is drawn from all major training agencies hence can offer certification of the clients choice. 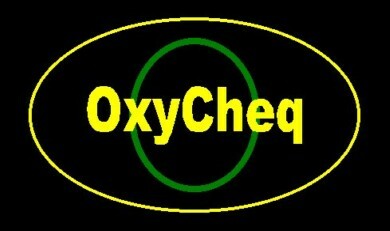 Offices are situated in Quebec, Canada but courses are given internationally. 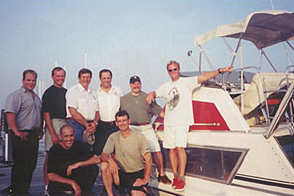 The Institute utilizes liveaboard vessels for training and diving; these operate along the St. Lawrence Seaway from the Great Lakes to the Gulf. 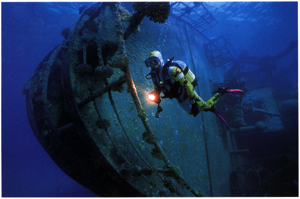 Wreck and cave diving expeditions are organized to many of the most sought after sites. Sir Ernest Shackleton. Despite many great accomplishments, we consider his greatest to be that of his successful 1916 rescue of his entire crew. In that winter, starving and exhausted from twenty months of exploration, Shackleton and five men sailed 1300 kilometers across the Antarctic Ocean. For seventeen days they navigated the fifty-foot gale driven waves of the most treacherous seas on earth in a 23-foot lifeboat to get help for the balance of his expedition. When faced with death or doing the impossible, some choose to live. This The Scuba Ring site owned by Alp-Maritimes Sports - technicaldivingops.com .